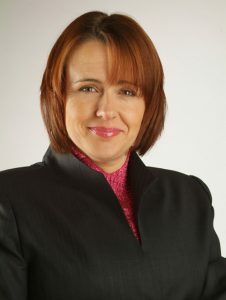 Baroness Tanni Grey-Thompson is Britain’s greatest Paralympic athlete. She competed in five Paralympic Games, winning 11 Gold Medals, and is acknowledged as one of the most gifted and courageous sportswomen of her generation. In addition to her outstanding Paralympic achievements, between 1992 and 2002 she won the London Wheelchair Marathon a total of six times. Thanks to her popularity, success and wide appeal, there are many brands who are proud to be aligned with her including ASDA, VISA and the Foreign Office. An intelligent lady, Tanni understands the parallels between sport and business, and has invaluable nuggets of information from her sporting background that can be transferred to the boardroom. A very strong communicator, she is brilliant at motivating and inspiring an audience, be it a small gathering of CEOs or a large room of employees. Tanni’s experience and long career as an elite sports person means that she has a wealth of stories to share. She can entertain guests with lively and colourful anecdotes about what happens behind the scenes at the Games, mixing with world leaders and give insight into what it is like to represent your country.